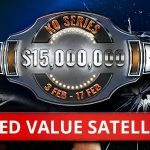 The Six Plus Hold’em craze is officially in high gear now that the World Series of Poker has added a $10,000 buy-in bracelet event to its 2019 schedule. Also know as Short Deck Poker, the game uses 36 cards from a standard 52-card deck. Cards valued 2 thru 5 are removed, creating a variation that prompts more action and requires a somewhat different strategy than Texas Hold’em. The 2019 WSOP will run from May 28 through July 16, 2019. 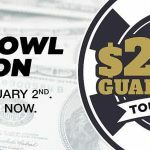 The complete schedule has not yet been revealed, but organizers have confirmed the hosting of a $10K Six Plus Hold’em event that starts on Sunday, June 2 and will last for four days, with one re-entry allowed. The word on the street is that additional Short Deck Poker events may be added to the WSOP offerings as well. If so, the entry fees are expected to be more affordable to your Average Joe than the $10,000 buy-in that’s already been set in stone. The popularity of Six Plus Hold’em has to this point been confined mostly to the high stakes poker-playing community. Whether the game’s appeal trickles down to lower stakes players remains to be seen. Short Deck Poker may not appeal to some players due to a shift in hand rankings. The hand rankings have been modified to account for less cards in the deck and the changed probabilities of making certain hands as a result of fewer cards. For instance, three of a kind beats a straight in Six Plus Hold’em and a flush beats a full house. Players new to poker will undoubtedly find the new rules a bit confusing after learning the hand rankings for traditional Texas Hold’em. On the other hand, with most of the crappy cards gone from the deck, there are many more “good” hands dealt. It’s easier to make the bigger hands, which creates looser play and bigger pots. Short Deck Poker has been launched at a number of online poker sites such as Americas Cardroom and Black Chip Poker. PokerStars is the latest poker room to add the variant to its offerings, restricting the game to its cash game tables for now. The game will become a permanent fixture at PokerStars if enough people play it. 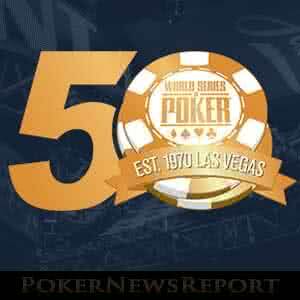 This year marks the 50th anniversary of the WSOP, a milestone that few likely imagined after the first couple years attracted only a handful of players. 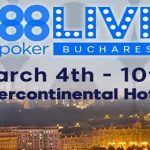 It’s now the most prestigious poker festival worldwide and shows no signs of slowing down. The full schedule of the 2019 WSOP will likely be released in the next couple of months. The Short Deck Poker event will be among the first few tournaments on the schedule. 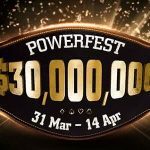 Preceding it on May 30 is a $500 buy-in tourney called The Big 50 that will be rake-free and boasts a confirmed $5 million guaranteed prize pool. A Mini Main Event with a $1,000 entry fee has also made the cut, as has the popular Colossus, the latter sporting a reduced buy-in of $400. Axed from this year’s schedule are the $1 Million buy-in Big One for One Drop and the $111,111 One Drop High Roller.